This book has been on my TBR list forever. I took the quiz years ago but never got around to reading the book. Man I wish I would have! This book spoke to me. I kept stopping and reading things out loud to my husband because they pertained to situations we have found ourselves in. I am going to buy two copies of it, one for me and one for him so we can take notes and then compare. There is so much truth in the fact that we show & need love in different ways and we rarely share the same language with our significant other. 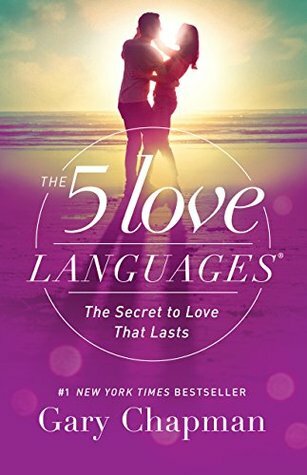 Our therapist said that even though you need to learn your sig other’s love language you also need to continue to show your love in your language. You won’t be fulfilled if you solely focus on your sig other’s love language and neglect your own. Part of me wishes I would have read this book years ago, maybe could have saved us some difficult times, but then I think maybe we weren’t ready to put this into practice. I know now that we 100% are! The reason I gave it 4 stars, instead of 5, was because there were parts that seem a little outdated and “1950s” mentality. I found myself getting a little bothered by some of the advice the author was giving a couple of his patients however I can look past that because so much of what he said rings so true in relationships! I definitely recommend this book for ALL couples no matter if you are in a great place in your relationship at this moment or feeling like you are ready to give up. This could help strengthen your marriage or save it.